Copyright (C) 2000-2009 Jon Davis. Contents may not be used without permission. Articulated steam locomotives. To most North American rail fans, those words bring to mind massive machines like Union Pacific's Big Boys, or the Y6s of the Norfolk & Western. However, another interesting aspect of the history of articulated locomotives in America are the Baldwin Logging Mallets, of which forty-four were built between 1909 and 1937. Coming in a variety of types and sizes, with tanks or tenders, these locomotives saw service mainly in the Pacific Northwest with a few exceptions. Built to be more powerful than smaller rod locomotives like Baldwin's logging Mikados, yet faster than the Shays, Climaxes, and Heislers more common to logging service, logging Mallets gained acceptance on many Northwest logging railroads. Smaller companies would sometimes buy one or two, while the timber giants Rayonier and Weyerhaeuser owned small fleets of Baldwin's little 2-6-6-2s. Logging Mallets also outlasted their mainline counterparts, lasting in active logging service in some cases into the 1960s, with three remaining in service at Rayonier until 1967. 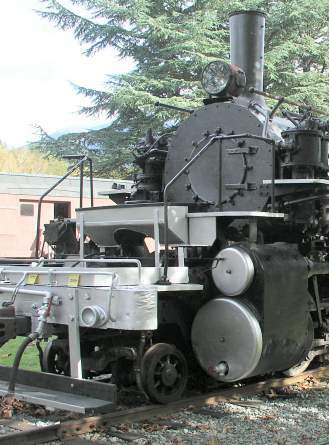 Ten of these interesting locomotives survived the scrapper's torch, and today they reside in the hands of museums, tourist railways, or private owners. Five logging Mallets have operated since the end of steam powered logging railroads, hauling tourists rather than timber. Today, one is operational, and at least two more are slated for a return to steam in the near future. 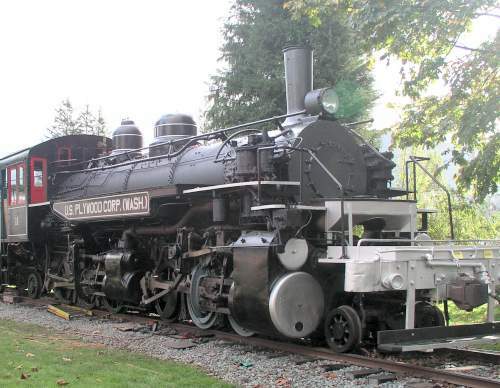 This site is intended to be a source of information on these locomotives, and hopefully the history of each logging Mallet will be documented here. Additional information and photographs are always welcome. Including information on the differences between compound Mallets and simple-articulateds. This Site Hosted By Railfan.net!